My colleague, Joanna Myers, GCFP, is a dear friend and continuous inspiration. Her words resonated with me, so I wanted to share them with you. What would your life be like if you felt truly supported? What would that look like? In a culture that values self-sufficiency, is it possible even to accept support without feeling it will somehow make us soft or, dare I say… spoiled? As I find myself leaning on people in my life in new ways, I have found it quite challenging to my self-image. Like many women, I’m more comfortable in a giving role and have always been extremely independent. What I realize is that holding onto this image of myself as self-sufficient not only limits my options but is a lot of extra work in itself. We Feldenkrais® practitioners often mention “giving support where support is needed” as a maxim in our work. 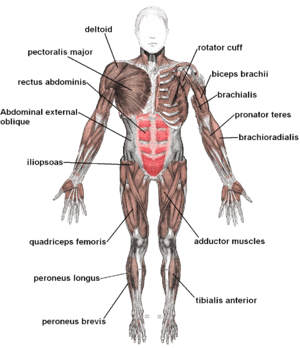 If you have areas in your body where you’re working extra hard (i.e., tight! ), like in the back of your neck, or your shoulders, one of the first things we’ll do is support what your muscles are already doing. Whether through touch during Functional Integration® or your own movements in a class, the idea is to give yourself the feeling of “not-working” long enough for it to register internally. It works almost every time. Shoulders drop from around the ears. Necks lengthen. You may, in the course of an hour, let go of tension you have carried around for years. It takes real courage to accept support, especially from oneself. The feeling of being carried by the bones of your body, without excess muscle tone, is an ideal worth pursuing, simply because it frees us for the most meaningful action–that which flows effortlessly through us. What would that look like for you, this busy time of year that is so other-focused? We can help! Treat yourself to a Functional Integration® lesson over the holidays, or in the new year. After the holidays, bring a friend to ATM class at any of our locations. Now how supportive is that?